Barely a month after lifestyle e-tailer Myntra acquired rival Jabong, two top executives are leaving the Flipkart-controlled firm. The executives are Prasad Kompalli, head of commerce, and Abhishek Verma, who led the fashion brands vertical, The Economic Times reported. The report cited a Myntra spokesperson as saying that Kompalli will take an advisory role from October while a senior retail industry executive will replace Verma in September. It is not clear whether these exits are part of a management rejig after Myntra's acquisition of Jabong. Myntra didn't respond to TechCircle's queries by the time of filing this article. Kompalli and Verma, who directly reported to CEO Ananth Narayanan, are credited with developing the private brand vertical, which Myntra counts as a key vertical to spearhead growth. 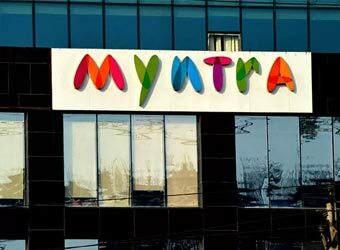 Myntra is also planning to open its first offline store in the next three months. The development follows another round of senior-level exits in the backdrop of Myntra's acquisition of Jabong. A month ago, its chief creative officer Gautam Kotamraju joined Amazon India and Prabhakar Sunder quit as the CFO to join competitor Voonik. Last month, Myntra agreed to acquire Jabong from its parent Global Fashion Group for $70 million (Rs 470 crore) in cash to create India's biggest fashion e-tailer. After the deal, Flipkart is likely to control 70% of the online fashion market.